Sudoku puzzles have become a worldwide mania for adults, and now the craze is catching on with children, too. The puzzles are a perfect way for kids to develop their logic skills while still having fun. Psychologists have even found that an obsessive game such as Sudoku teaches children how to deal and live with stress. All over the world, adults and children alike are testing their powers of concentration and their skills in this wildly popular game. 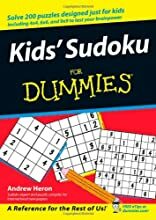 Kids' Sudoku For Dummies will get your children involved with this excellent tool for building kids' critical thinking skills-while having lots of fun. About Andrew Heron (Author) : Andrew Heron is a published author of children's books. 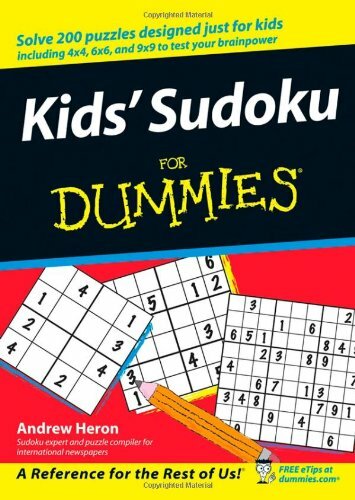 A published credit of Andrew Heron is Kids' Sudoku For Dummies (For Dummies (Sports & Hobbies)).